The Infinix hot S is one of the new devices Infinix just released. And like most of Infinix recently released devices, this phone runs on Android version 6.0 marshmallow out of the box which makes it a bit difficult to root for those who might be planning to do so since the phone's firmware is still pretty new. If you happen to be a phone freak or you just enjoy making lots of modifications and tweaking on your smartphone then rooting might be one of those things you would most likely want to do on your phone. But if you own a device running on Android marshmallow like the Infinix hot S, then you might not be able to automatically root your phone with one click root apps such as KingRoot since exploit for most devices running on marshmallow aren't available yet. But all thanks to the HOVATEK TEAM for always providing the needed custom recovery. With the ported Twrp Recovery, you can manually root your phone. I will just put you through on the necessary steps to flash the custom recovery and also install the SuperSU.zip for root access. => Vcom drivers must be installed on the PC. Check guide here. 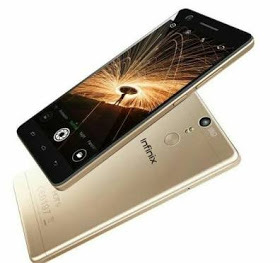 => Infinix Hot S Twrp Recovery Image. Download here. => Extract both the downloaded recovery image and sp flash tool into two separate folders. Preferably to the desktop. => Open the extracted sp flash tool folder and open the file named "flash tool.exe". => After that, click on download on sp flash tool. => Turn off your phone and connect it to your PC. => Just wait while sp flash tool installs the recovery image into your phone and you should see a green button once the process is completed. That's it, you have just installed Twrp Recovery on your Infinix hot S and hereby through with the first step. Just follow the procedure below to root your phone through recovery mode. That's all, you have just successfully rooted your phone. You can confirm your phone's root access by downloading root checker from play store. The link to download the recovery is not working. I flashed twrp ported by hovatek through sp flashtool on my Infinix Hot S, booted to recovery and rebooted to system but the phone refused to boot up. I tried factory reset yet no success. I even wiped cache, data and Carlos yet no success. I flashed the stock room and the phone booted up. I flashed the twrp again and the phone refuses to boot up. Please I need your help cos I want to install twrp so that I can root the phone. Also, I lost my NVRAM on this Infinix Hot S and have tried all technical to regain it but no success. Please help me with an NVRAM backup of Infinix Hot S. Thanks. Am surprised you having this issue because a lot of people have tested this method without any problem. About the nvram, unfortunately I don't have the backup, but you can try fixing the imei with "engineering mode plus". That might work. But I will still help you search online if I can find any. Also you can try the "upgrade firmware" option when reflashing your phone's stock ROM. That might also help. As I said earlier, this is just a quick suggestion. I will still help you search for more solutions if I find any and also let me know of this helps. Wao! You are the first thread owner to reply so fast to a complaint like mine. You are also the first thread owner to deligently give me a thorough analysis of possible solution to my complaints. I truly appreciate this and will surely try all you have suggested. Thanks and GOD bless you. Thanks my man. I have successfully flashed the TWRP and rooted my Hot S, but the problem now is that i don't have the NVRAM.bin to flash and repair my Hot S. I have requested help from a lot of forums to no avail. Try the Infinix mobility forum..